What’s The Difference Between Asphalt Overlay and Asphalt Sealcoat? From discussions we’ve had with our customers, it seems that many of them don’t understand the difference between an asphalt overlay and asphalt sealcoating. That’s understandable – they’re similar processes, both used for the repair and maintenance of your asphalt. So, for our blog today, let’s take a quick look at the difference between overlays and sealcoats! Asking for one when you only need the other could lead to needless costs. 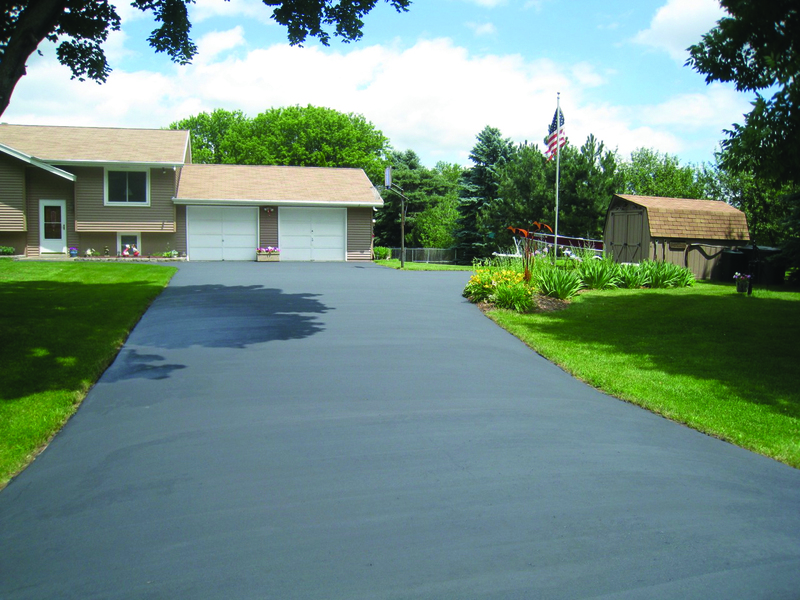 An asphalt overlay is, essentially, a patch job done on a stretch of asphalt. This is the usual method when asphalt is showing some cracking or potholing, while still not being damaged enough to need replacement. In this case, we come through with a paver and lay a thin layer of hot asphalt onto your existing surface, giving you an entirely new asphalt surface. However, overlaying your old asphalt will not fix any issues underneath, and any cracks you have now will reflect through the new surface within a year or two, very similar to putting another layer of shingles on an existing roof, it can be done but it is generally not recommended in most circumstances. While sealcoat alone can sometimes fill extremely shallow cracks, crackfilling should be done on the larger cracks to prevent any water from penetrating under your asphalt. The sealcoating process is more like putting a coat of paint on your house. The end result is the same: A slightly shiny surface that discourages wear, prevents water or other spills from reaching the interior, as well as protecting against damaging sunlight. Unlike the paint on your house, sealcoating wears out relatively quickly. However, an inexpensive and easy sealcoat and crackfill every 2-4 years can usually prevent any other asphalt maintenance for decades to come. It’s by far the most cost-effective way of maintaining asphalt over long periods of time.